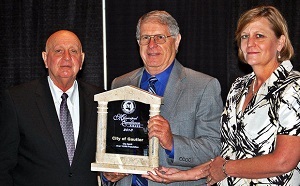 BILOXI, Mississippi -- Gautier was among seven Mississippi cities which were honored with Awards of Excellence by the Mississippi Municipal League during the MML's annual awards banquet Wednesday at the Mississippi Coast Coliseum & Convention Center. 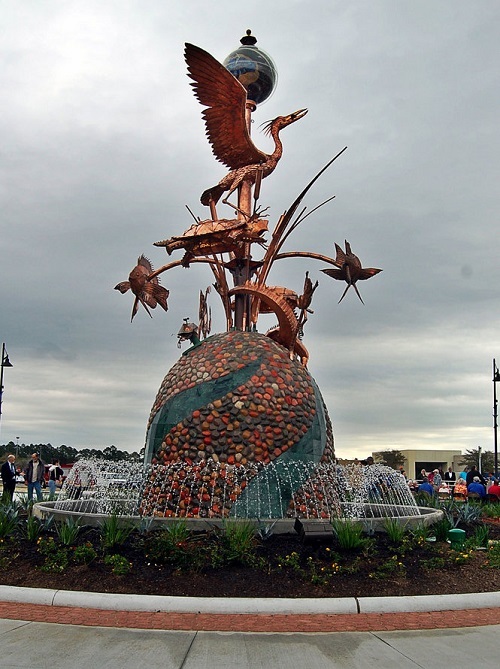 Gautier was one of two cities, along with Decatur, to receive the "City Spirit" Award of Excellence, presented for the city's "Nature's Playground Streetscape Project." 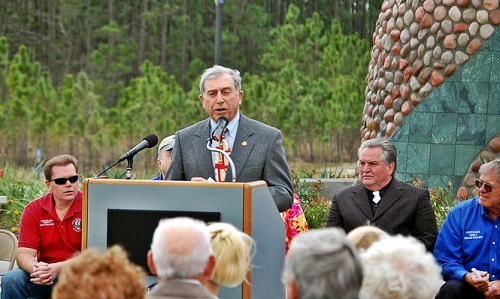 Mayor Gordon Gollott accepted the award on the city's behalf. 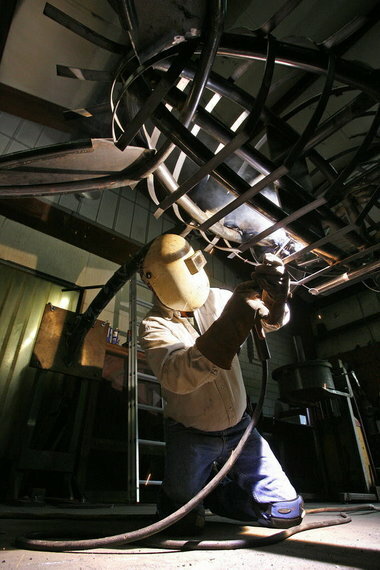 "I think it shows the great opportunity we have in Gautier," Gollott said. 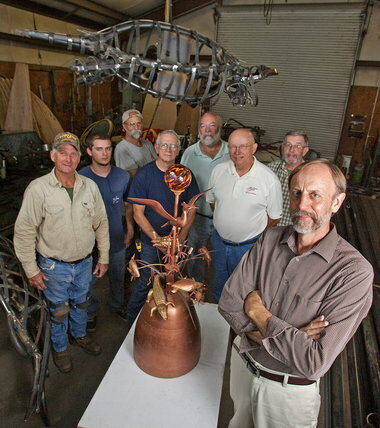 "We're certainly honored to win a state-wide award." 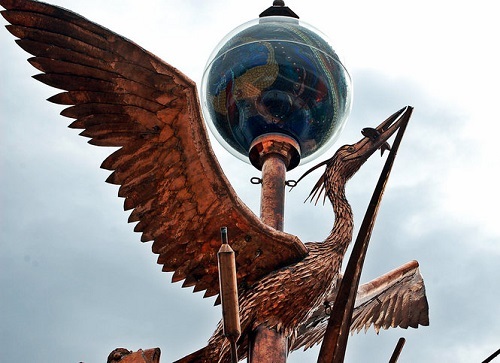 The Nature's Playground project involved the reworking of a "town center" along Dolphin Drive behind Singing River Mall. 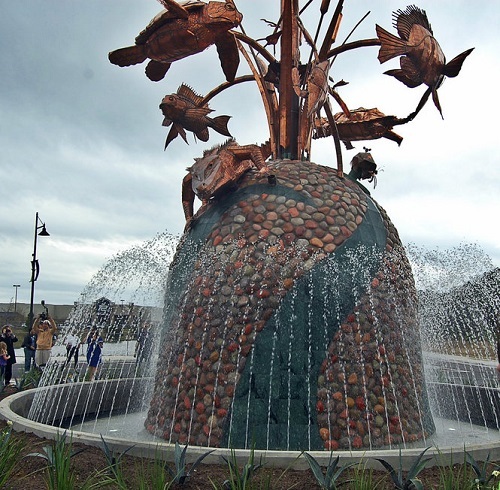 The centerpiece of the project is a 42-foot "Nature's Playground" sculpture by artist Dean Mosher which was unveiled in March. 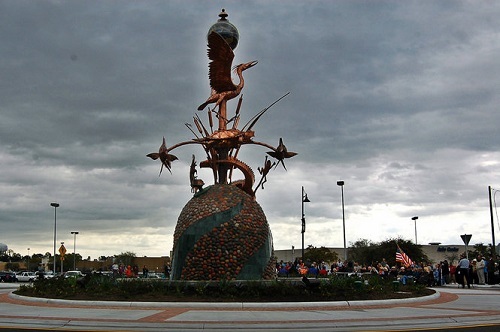 The streetscape was just the first phase in an the creation of a "town green" which will include walking/hiking trails, an amphitheater and festival grounds. 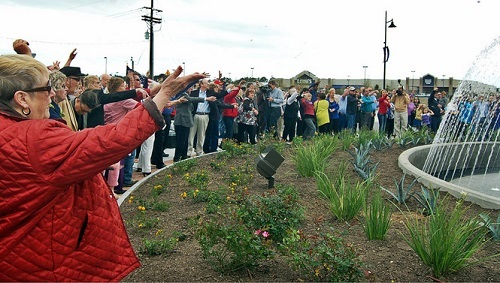 The city will purchase 19 acres for the town green, with another 12 donated. 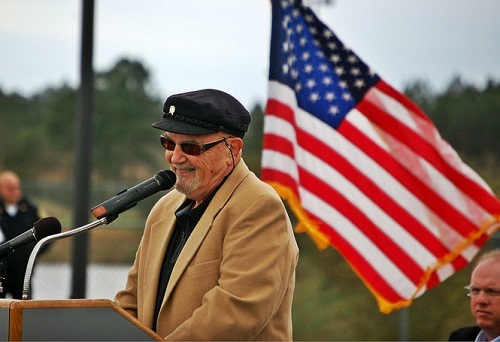 "When the entire project is finished, it will be a wonderful addition to the quality of life in Gautier," Gollott said. 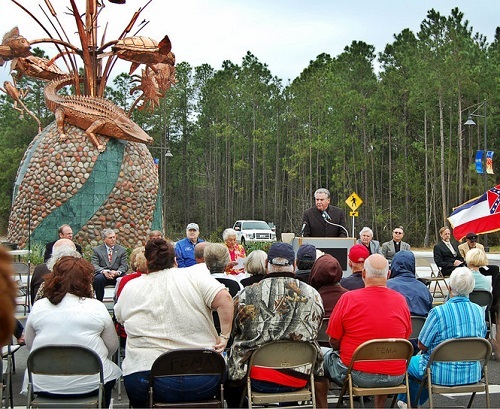 "It's not going to happen overnight, but it's part of an overall plan to improve the quality of life in Gautier." 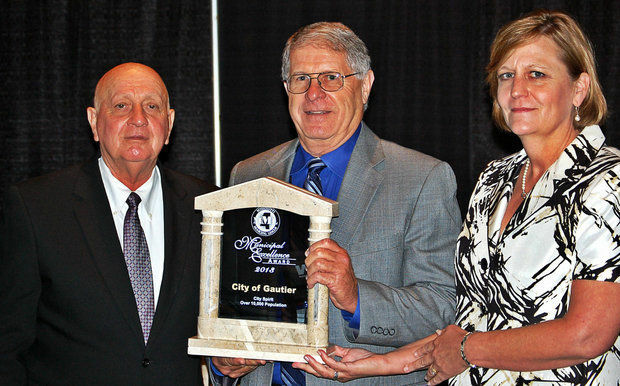 Other award winners at the banquet were Walnut Grove and Grenada for Planning & Economic Development, Batesville and Tupleo for Public Safety, Morton and Tupelo for Public Works and Corinth for Best Overall -- an award won by Ocean Springs last year for its Public Safety Complex. 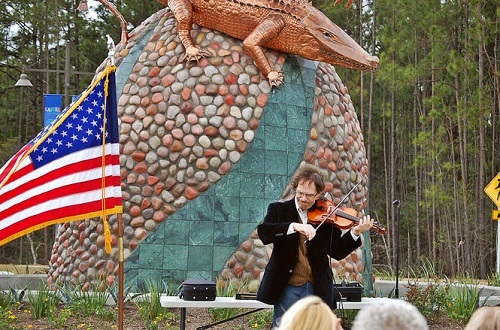 On Friday, March 22nd 2013, over 300 people came to witness the dedication of "Nature's Playground", the 42' sculpture in the new town center of Gautier, Mississippi. 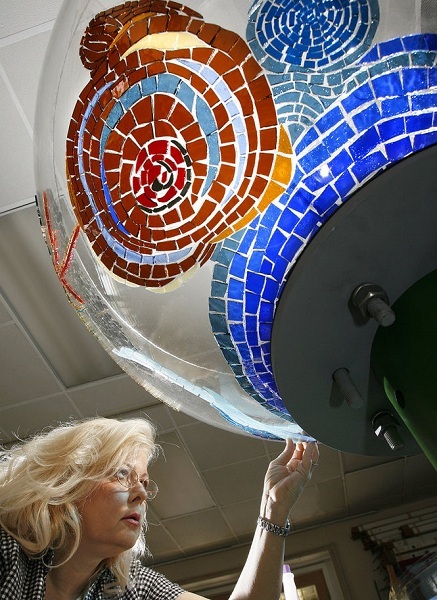 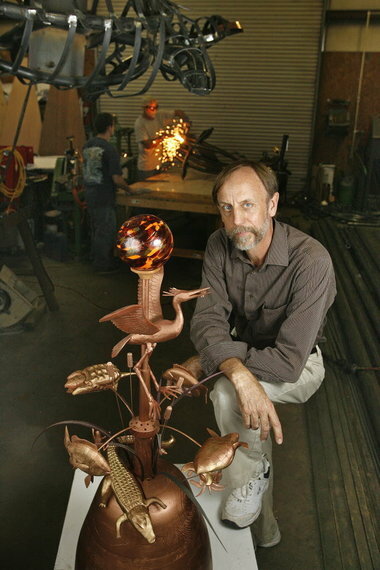 The sculpture was created by the world-renowned artist Dean Mosher. 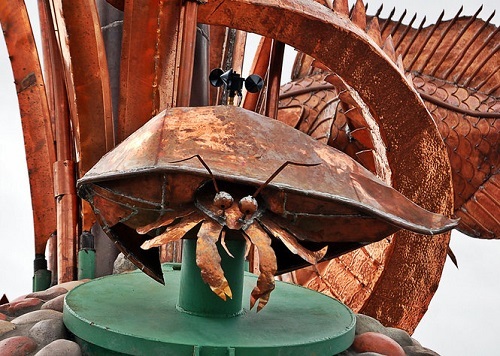 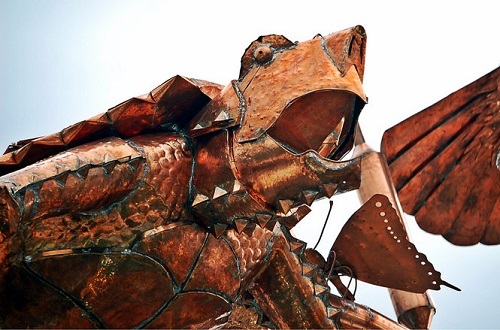 With a unique vision firmly in his mind, Mosher took to assemble a top-notch team of artists, craftsmen, machinists, welders, masons, engineers, and technicians who labored over a year in the construction. 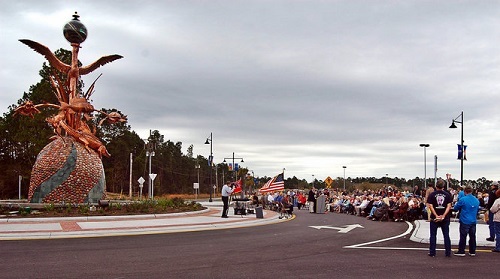 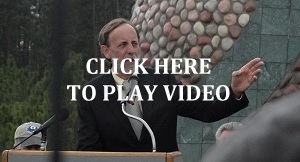 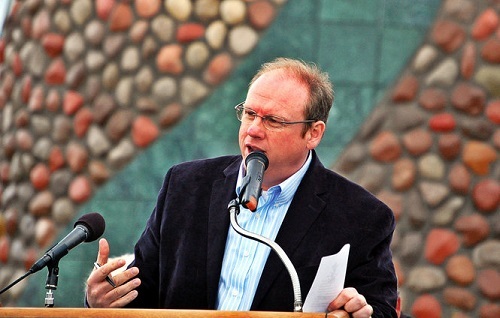 "The news media can go out and proclaim it, they can declare it the prettiest piece of art on the coast, period," said Mayor Fortenberry, who acted as the master of ceremonies at the dedication. 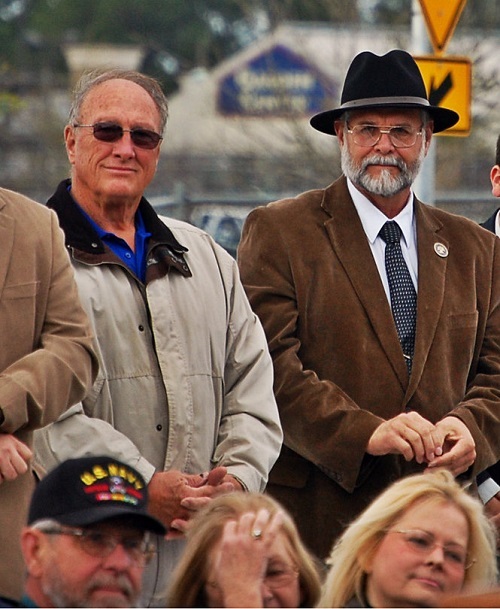 Other speakers included members of Gautier Pride, the MDA, and the artist. 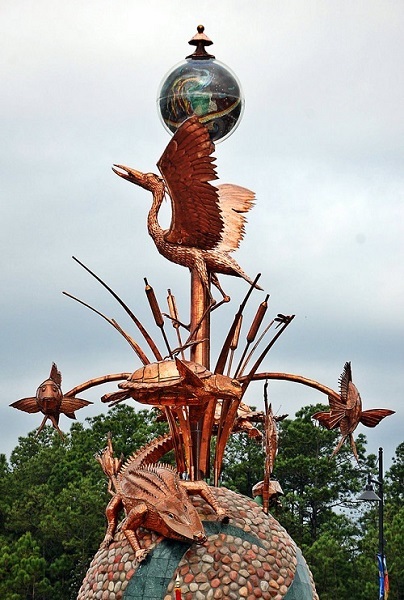 Mosher gives much of the credit for the vision to create the sculptures to City Manager Samantha Abell, "It wouldn’t be here without her." 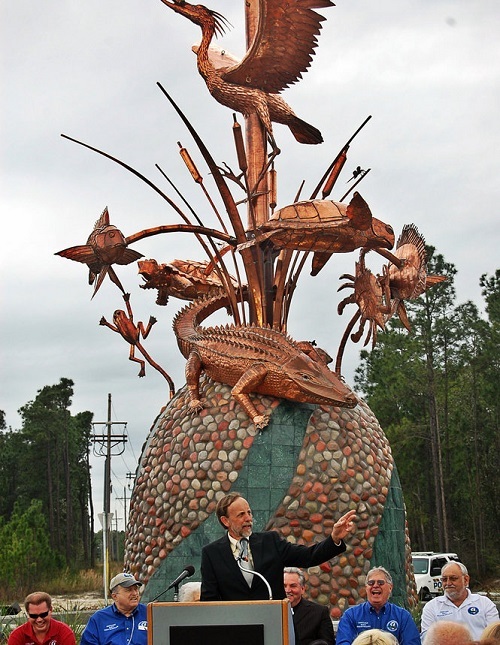 This project is a result of a grant in order to revive Gautier's economy post-Katrina and provide it with a one-of-its-kind work of art that will help create pride and a feeling of ownership within the community. 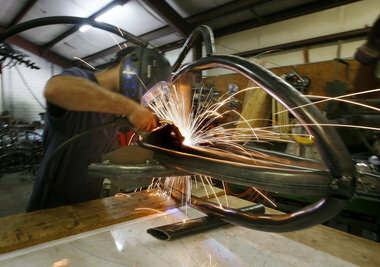 The wraps have finally been pulled off a wonderful package which is very soon to be delivered to the Mississippi Gulf Coast! 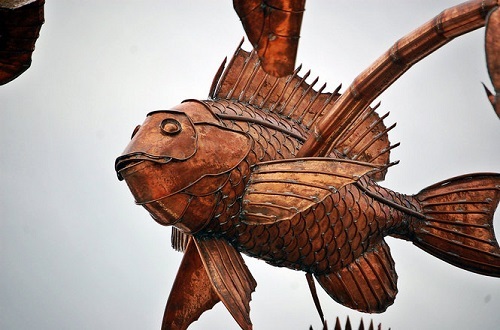 The full story behind “Nature’s Playground” a delightful outdoor sculpture project, was published by Thomas Harrison, of the Press Register yesterday. Mr. Harrison’s interviews with officials of the city of Gauthier, MS, as well as Dean Mosher, and the talented project team members, was presented in both the Sunday, August 12, 2012 print edition of the Mobile, AL daily newspaper as well as online in the Fine Arts section at al.com. 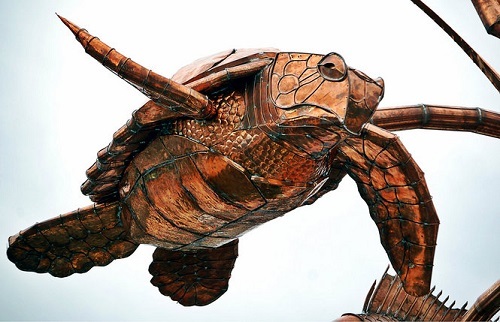 “Nature’s Playground” is a stunning 42-foot-high steel structure which will feature wildlife native to the Gulf Coast region — an alligator, turtles, a great blue heron, fish and a crab. 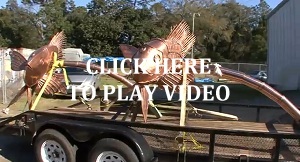 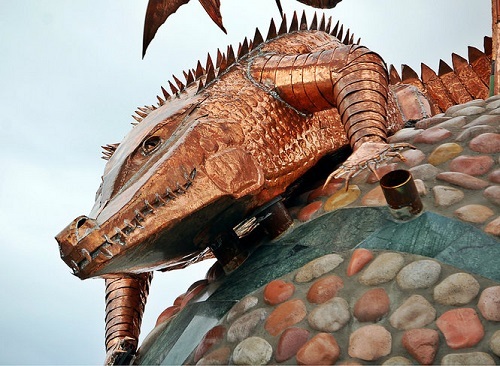 The sculpture was commissioned by the City of Gauthier, MS to be installed at the entrance to the city’s Town Center revitalization.